The first GEO satellite was launched from a United Launch Alliance Atlas V rocket from Cape Canaveral Air Force Station, Florida, in May 2011. The second GEO satellite was launched in March 2013. Image courtesy of Pat Corkery, United Launch Alliance. The GEO-3 satellite was delivered in July 2015. Lockheed Martin secured an $82m contract to begin work on the fifth and sixth GEO satellites, in October 2012. The second GEO satellite received operational acceptance in November 2013. Image courtesy of Northrop Grumman. Lockheed Martin’s space-based infrared system (SBIRS) is an early warning defence satellite system being developed for the US Air Force Space Command (AFSPC). It is a constellation of geosynchronous earth orbit (GEO) satellites, highly elliptical earth orbit (HEO) payloads, and ground processing and control systems. The integrated SBIRS satellite system provides long-range surveillance and target detection capabilities to support missions such as missile warning, missile defence, technical intelligence and battlespace awareness, and is capable of providing infrared information for multiple missions simultaneously. The SBIRS surveillance system will replace the US Air Force’s Defence Support Program (DSP) early warning system. The GEO satellite is equipped with secure communication networks, global positioning system (GPS) receiver with selective availability anti-spoof module (SAASM), RH-32 radiation-hardened, single board computers and solar flyer attitude control, which is stabilised in three axes. GaAs solar arrays are also fitted to the satellites and produce approximately 2.8kW. Integration testing of the GEO Interim Operations Ground Segment System of the first GEO satellite for missile warning message certification was completed in September 2010 and the final integration testing was completed in December 2010. The GEO-1 satellite was launched from a United Launch Alliance Atlas V rocket from Cape Canaveral Air Force Station, Florida, in May 2011 and received operational acceptance from the AFSPC in May 2013. The second GEO spacecraft was launched in March 2013 and received operational acceptance in November 2013. Lockheed Martin received a $1.5bn contract from the USAF for the HEO-3 payload, GEO-3 satellite and ground modifications in June 2009. The USAF awarded a $262.5m down payment to Lockheed Martin for the fourth SBIRS GEO satellite in July 2009. The system-level critical design review (CDR) of the HEO-3 and HEO-4 payloads was completed in November 2009 and the CDRs of GEO-3 and GEO-4 satellites were completed in November 2010. The GEO-3 satellite was delivered in July 2015. The propulsion module for the GEO-4 satellite was completed in May 2014. 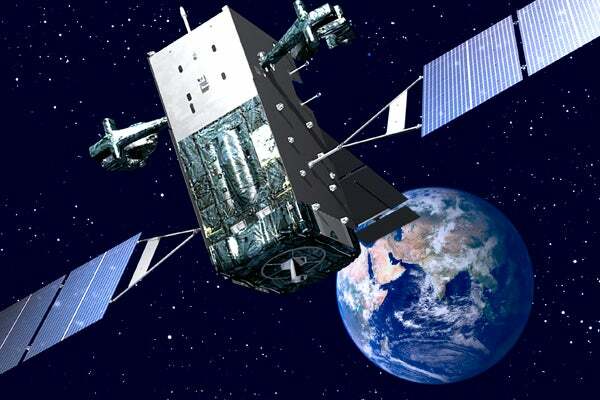 Lockheed Martin secured an $82m contract in October 2012 to commence work on the fifth and sixth GEO satellites. It received $284.4m for procuring long lead parts of the GEO-5 and GEO-6 satellites in March 2013. The HEO payloads are hosted in Molniya orbit to assist theatre surveillance missions. The satellite is equipped with roughly 1,000lb of infrared sensors, a Schmidt camera, and agile precision pointing and control. The scanning sensor performs observation and surveillance of intercontinental ballistic missile targets, while the staring sensor detects the low signature, short-burn time theatre missiles. The payloads are also equipped with spacecraft subsystems and a pointing and control assembly (PCA). Data captured by the payload systems is transmitted to the mission control station at a rate of 100Mbp. The first HEO payload (HEO-1) was delivered in August 2004 and placed into orbit in November 2006. It received certification from the US Strategic Command (USSTRATCOM) to operate in the Strategic and Theatre MW missions in December 2008. The second HEO payload (HEO-2) was delivered in September 2005 and reached its orbit in June 2008. The payload was operationally certified by the USSTRATCOM in August 2009. The HEO-3 was delivered to the USAF in July 2013 and launched into orbit in 2014. The SBIRS was initiated by the US Department of Defense (DoD) in 1996 and was initially planned to include high and low orbiting space-based equipment and ground processing segments. The DoD transferred SBIRS Low to the Missile Defence Agency and renamed it as the space tracking and surveillance system (STSS) in 2001, while SBIRS High was certified for operations in December 2001 and is now known simply as SBIRS. Lockheed Martin, the prime contractor for the SBIRS satellite system, is responsible for the construction and maintenance of the system. It also performs programme management, systems engineering and spacecraft development. The ground systems are developed by Lockheed Martin Information Systems and Global Services. As the subcontractor for the SBIRS satellite system, Northrop Grumman Electronic Systems provides payload integration and supports the development of ground mission processing and systems engineering.